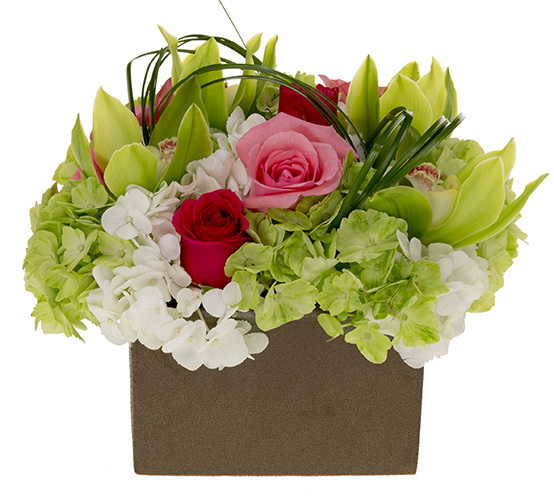 Rich, luxurious, densely layered petals: white and green Hydrangea, red and pink roses, green Cymbidium Blossoms. Strands of Bear Grass crisscross and create definition, line and movement over this gorgeous design. Approximate size: 9” h x 9” w.
For delivery within the Portland /Vancouver Metro area only.